Seven big tournaments on tap for Michigan in 2016? 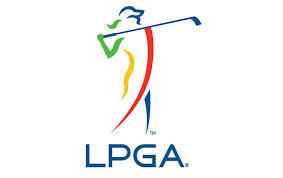 The LPGA may add another Michigan stop in ’16. Although it won’t match those golden bygone years when Michigan hosted the Buick Open (Grand Blanc), the Oldsmobile LPGA Classic (Lansing), the Ford Senior Players Championship (Dearborn), Farmers Charity Classic (Grand Rapids), and the Western Amateur at Point O’ Woods in Benton Harbor, 2016 will see a strong line-up of tournaments throughout the state. In addition to the likelihood of the two aforementioned LPGA stops, there will be the Senior PGA Championship returning to Harbor Shores and Benton Harbor in late May; three different Symetra Tour stops at Battle Creek, Harris (UP) and Tullymore; and the U.S. Amateur at Oakland Hills CC in August. That’s seven tournaments in all from May until August. Play ready golf, determine yardage before you hit, and whenever possible do continuous putting. If riding, park the golf cart on the exit side of the green headed toward the next tee. Can’t believe how many clueless people miss this time-saver. Give the golf pro the authority to manage slow play groups. Hyland’s approach is to turn a possible confrontation into something positive by asking, “What can I do to help.” In my experience at both private and public courses, not enough “soft power” is granted to marshals, starters or pros trying to monitor and plod groups. On par-three holes: “spray paint the exact yardage to the flagstick from various tees.” Note: some clubs place a “yardage meter” next to the most popular tee. Fortunately, today’s technology has sped up distance gathering. Remember walking off the paces from the 150-yard marker? I would add a few more tips to this excellent list culled by Achenbach. If you’re riding in a cart, avoid taking the head cover on and off of your driver. In fact, I use a battery-powered trolley and I always place my driver and putter covers in my bag to save the time and fuss over them. Your clubs will be just fine. Or replace covers when there’s a lull or wait during the round. 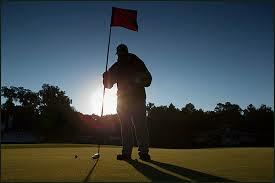 And if you bring a towel or extra club to the green, leave it near or on the flagstick where it will easily be found.